Which bell is sweetest, tho it dost not ring? Which town busiest tho it hast no king? Stumbled onto this while researching Wardian Cases. More pictures here. 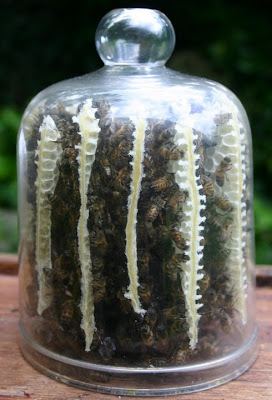 As for campaign uses, how about a small receptacle at the bottom of this that releases healing honey periodically, or perhaps the buzzing of the hive is soothing and functions as a sleep spell on large monsters. 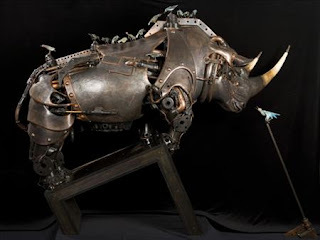 When I was poking around looking for steampunk animals I stumbled upon a post at the Brass Goggles blog about Wardian Cases. Oh, how I love learning, that Wikipedia article led me to terrariums and then paludariums, of which I had never before heard. A tiny community of thumb-sized villagers. A collection of rare herbs of every color (you needed a blue plant for that freeze spell, right?). A collection of ordinary looking herbs, which when the glass is lifted smell of maple syrup and cause mammals to feel amorous. A single plant of the most deadly Dart Poison Flower. A sample of rare underdark flora that die if the glass is lifted. A putrescent looking mess of fungus which, after exposure to light for a short time, emit lantern-bright light for hours. A living ecosystem containing beetles that taste like chocolate. A pair of lizards that produce a cry of a perfectly pitched note, useful for court bards. Peppers so hot they will cause damage to anything foolish enough to eat them. A single mundane plant which has a human shaped root that cries for milk or blood. Twelve delicate flowers that will let those that smell them forsee the future but forever become addicted to the scent of the flower and search for it ruthlessly. Plants enveloping a small replica of your local megadungeon's surface features. The last breath of a dead demigod. A foul tasting tuber needed by Dwarves to breed. A seedling of a rare giant plant species (see Sequoiah Gigantea). Grey-Black lichen growing on rocks that emits heat equivalent to a small fire. A thought-to-be-extinct hops plant required for a legendary hobbit brew. Flowers that only bloom on the holy days of a particular saint. A tiny shrub which exudes mithril sap. 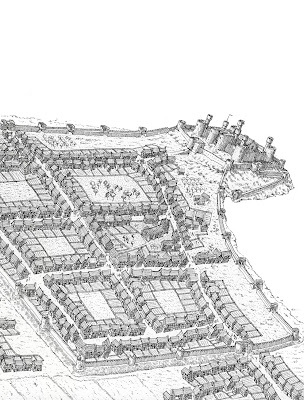 I posted before about a kind of roleplaying product I'd love to have: maps of locations-- especially villages and towns-- rendered in isometric (or axonometric, something I learned from blogging!) projection. Well, I have the perfect example, and you are probably familiar with it. 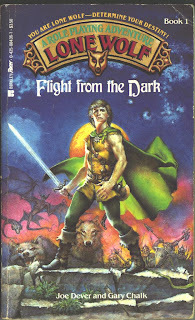 When I was a child I was fascinated by the books of David Macaulay. I was probably more fascinated by these books because I never owned any of them; I either encountered them at the library or school. His book Castle, published in 1977, tells the story of an imaginary but realistic castle being built from scratch. Paying attention to details and research, but not getting hung up with a specific historical site, this book really strikes a chord with me and probably holds a lesson for world/setting design. I love that. This is what I want. I'd like a book with 10, or 20 of these. I suppose I'll have to try and create them myself, but I'm not an artist so it will be hard work. I'm not sure why this is what I want, something about these images evokes a place in a way a map never does for me. A map is an abstraction that lends itself to tactics, which is fine, but an illustration like this can do that and breathe a little life into a fantasy setting. If you find this interesting at all, you should check out Macaulay's other books. He had several in this style: Cathedral, Pyramid, Mosque, Mill, Underground, and City, which I have big plans for. How many regularly practicing gamemasters are there in the world? One hundred thousand? More, Less? I use metaphor a lot to understand and learn. I keep trying to find a metaphor for what a DM does, is it like being a chef? Like being a DJ in a club? Sort of for both, but not quite either. Seems a rare hobby indeed, we have here. One last thought. 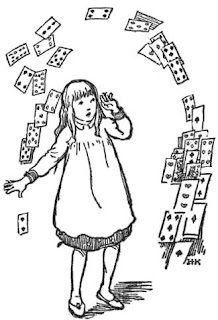 I keep hearing this idea that rules complexity is added to roleplaying games to help counteract "bad" DMs. I'm not sure if anyone believes that, but I think it is fallacious. Say for example that a "bad" DM (whether that means new, unskilled, or just a jackass, I'm not sure) needs help describing and bringing combats to life. So, someone adds more rules to combat: hit location charts, critical charts, action points, etc. And combat becomes bogged down as the poor "bad" DM needs to keep checking all these charts. Rules complexity and explicitness do not make for a better game experience by simulating an expert DM; they change the gaming experience completely. Grognardia had a post on this a while ago and there is a link in that post to most of the pages from this album, but the two most important are missing-- the start of the adventure in the tavern and the final treasure room. 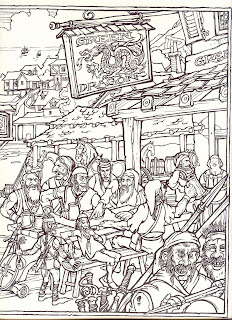 This is no Sinbad voyage, the party meets at a tavern and plans their assault on the dungeon. Party members are lost to beholders and ettins. The dungeon is a weird underworldish place, with elemental beings. I remember one room shows a never ending battle between an army of gnolls and and one of hobgoblins (?). And in the end the remnants of the party stumble upon a door leading to a room full of treasure. 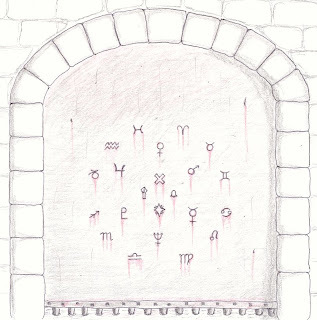 The echoes of the dungeon as an abstract set of challenges drawn on graph paper is in each drawing and my ~10 year old self could sense it and was intrigued. In essence it was a new genre. I realize that, just now, in writing this, neither S&S, nor high fantasy had anything like this gang of armed men exploring hazardous, semi-random rooms. Yeah, so the old school genre of play captured in a coloring book from 1979. And after checking, the battle in the book is between hyena-like gnolls, and baboon-like hobgoblins. The fact that the artist had to choose a "style" to render hobgoblins, I think is more evidence that humanoids in the classic game are generic baddies that scale in power to give players something to whack at. Not that that is necessarily bad or good, but I think I crave a little more from my monsters. I particularly love the album's picture of the treasure room. 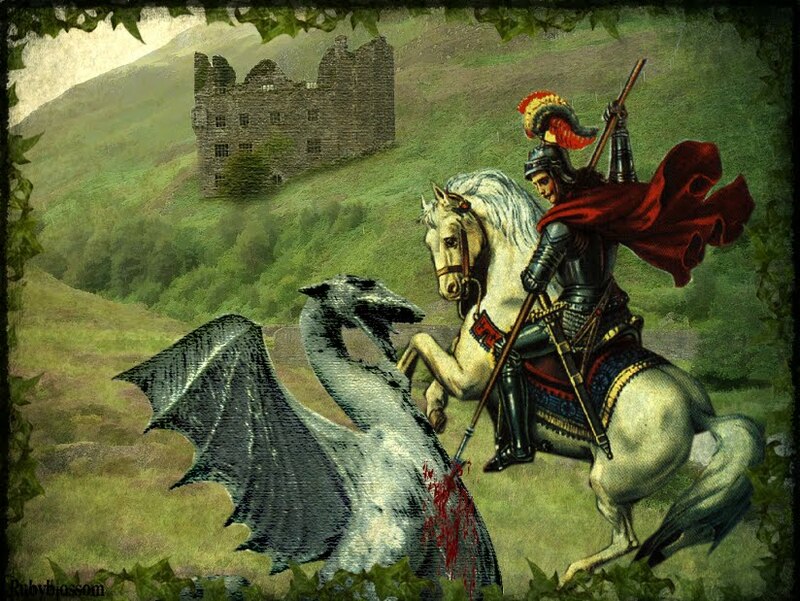 In writing this I'm realizing these two images would make for a perfect, iconic DM's screen. I'd probably pick the fight with the beholder as the centerpiece and then you'd have a triptych, with the call to adventure, strife, and glory of success. 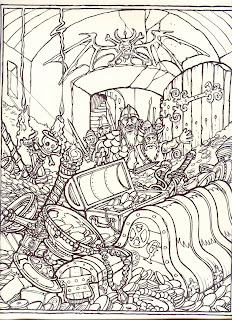 This has been percolating a while in my brain, is the OSR about sharing creative material that will always need to be renewed? Are we just replacing a corporate producer with each other? What I mean is, I think this list of 100 ways to disarm megadungeon traps is fabulous, and this list of interesting treasure items I've used in play myself I like it so much. But what happens after I've run through all those items, or at least the ones I find workable? Obviously I value this stuff. I just wonder if there are things I can learn from these lists, some tool I can make from each so that they aren't just non-renewable resources. The only things that spring to mind at the moment, as far as principles of gaming, is that flavor is important-- treasure items are more interesting than another pile of generic "gold pieces" and you need a way to disarm a trap to allow for players to figure it out, to make it more than a "roll to disarm" situation. But that still leaves me needing to generate the hundreds of unique, interesting items on each list. So I suppose, is something like a Roll all the Dice chart called for to try to help produce these? Or is there something more subtle, harder to pinpoint that I can learn by looking at the specific items on these lists? I think the answer to the last is, yes. I think if I can muster the time and mental cycles, I would like to analyze the items on those lists and try to learn what qualifies as an interesting treasure item, and what makes for a good trap trigger. 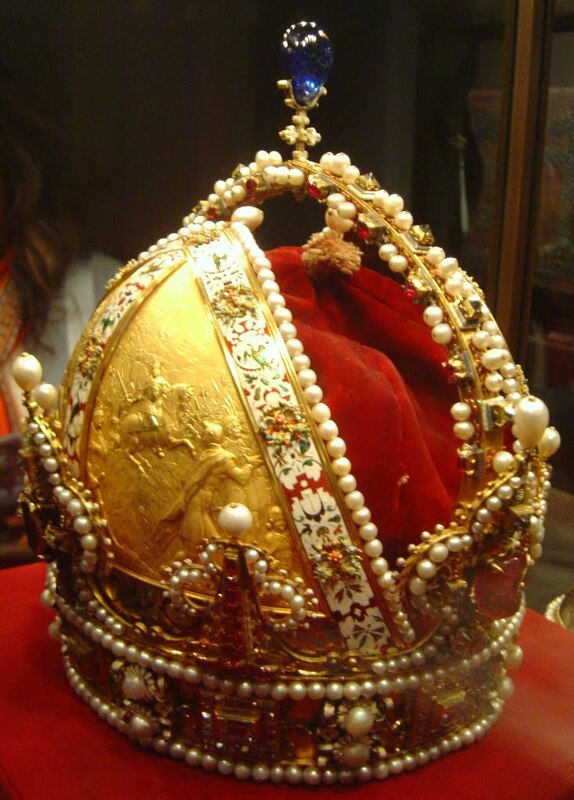 So, even if in the end I have to compile a list of 100 of my own treasures I'll better be able to. I'm having to start devoting all my mental cycles to work. I really want to keep posting frequently here, because it is something I value and enjoy. I just don't want to post crap just to post. Won't be valuable to me or you. I'll do my best. This unfortunately affects playing S&W, too. I'm starting to jones for some play. I'll even try to see if I can play some 4e, but the DM works with me, so he may be in a similar situation regarding mental cycles. It's not even that I'm obsessed with this stuff, but it seems a subject that captures the imaginations of artists and you can actually find examples and illustrations online. 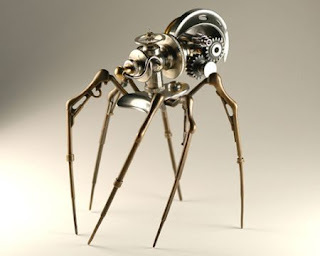 Okay, they call it steampunk, but we can re-purpose it. 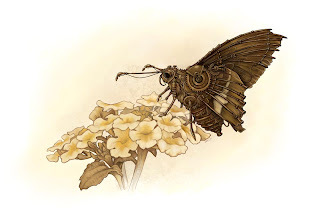 This is an nice little mechanical butterfly illustration by deviantArt user ursulav. Which makes me think . 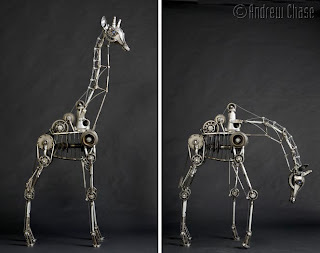 . . when I was searching the web for clockwork animals earlier, I don't think I tried the search term "steampunk animal." Hmm . . . Okay, I'm a goofenheimer; in trying to ascertain the usefulness of a regular set of double 6 dominoes for randomization, I decided the probabilities produced weren't very useful. But I didn't think of limiting the dominoes to draw from! And because dominoes have the odd quality of including blanks, you can pull all the blanks (except the double blank) and have six tiles from 1-6. The chance of pulling a number is exactly the same as rolling the same number on a d6. So, there you have it, I have solved the great stranded-on-a-desert-island-with-no-dice-but-ahh-we-have-dominoes-problem. Pull the one through six blanks, put them in a black velvet bag (all DM's have one right?) and let the player draw a tile. After drawing, place tile back in. Stir. Repeat. So, now our lovely, shiny bones can also substitute for our d8, d10, and d12s with other numbers thrown in! You could also, add zero to all of those ranges by adding the double blank tile. And, technically, you could generate a number from 1-28, but that would require you to assign numbers that don't correspond to the tile faces (the 6-2 stands for 13, etc.) and that would be confusing, require a chart and defeat the whole purpose. Of course, this is just fun mental exercise, never practical in play except for some kind of limited minigame. But it's that possibility of minigame that's still tickling the back of my brain. I'll try to flesh this out and post something soon. Along those lines, I read on some forum about Shadowrun (?) using a deck of playing cards to resolve NPC encounter reactions. Is anyone familiar with that? Can you direct me to it on the web anywhere? Have you seen this? 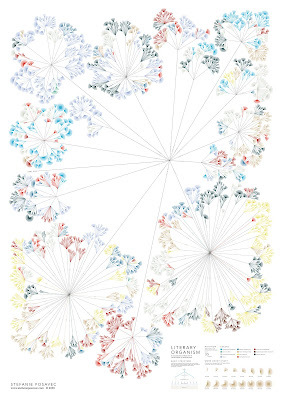 It's a graphic by Michael Niggel that visualizes all the choices of a particular Choose Your Own Adventure Book. I love this sort of thing. 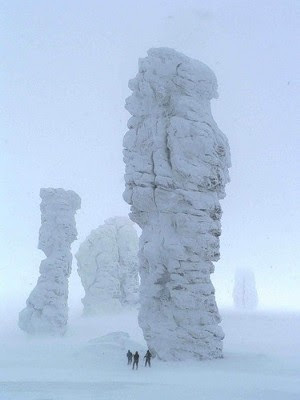 It reminds me a little of artist Stephanie Posavec's work. I wonder if my brain is changing as I age, I seem drawn to these patterns, and looking for patterns in systems. Or maybe it's too much time in academia. Imagine if your last session was mapped out as a series of choices-- and then a whole campaign. The first via Boing Boing, the second I encountered long ago (on the web), and it made an impression. I was sort of obsessing over dominoes over the weekend. I love the way they are so similar to a six sider, like a d6 exploded, like some tesseract version of a d6. So, some things I sat down and figured out that I hadn't known before: in a double six set of dominoes there are 28 tiles total. 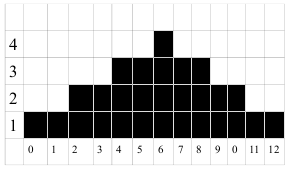 Each number, 0-6, has seven tiles. There are seven doubles. Because of the way the pips work, there are more occurrences of some numbers than others. I made a little chart of occurrences over pip total. Hmm, not so much a bell curve as a step pyramid. So, if you threw all these bones in a bag, what would be the probability of drawing a tile with a particular pip total? Well, keep in mind I'm no math expert, but I calculate to get a tile with only one occurrence would be ~3.6%. To draw a tile with two occurrences would be ~7%. To draw a 4, 5, 7, or 8-- numbers appearing 3 times-- would be ~10.7%. And finally, to draw a 6 would be ~14.3%. To compare that to the more common six sided die toss, rolling one d6 has an equal chance of getting 1-6 at 16.67%. And the bell curve that results from tossing 2d6 will get you a 6 13.89% of the time. So, if you find yourself stuck in a vacation cottage with no dice but a set of double six dominoes, even though the number range is so similar, it isn't really possible to simulate six siders. 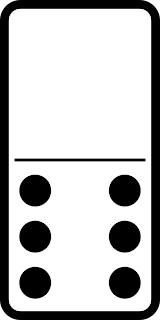 Telling your player to draw a 6 from the bag of dominoes is less than the chance of rolling a 1 on a d6. If you tell your player to draw any tile with a certain number on the tile-- not the pip total, but one of the sides of the domino-- the chance of success is 25%. Drawing either one or another number, say any tile with a 5 or a 6 on it, would be a 50% chance. The chance of drawing any particular tile, say the 5/6 is ~3.6%. Again, doesn't seem too useful a range of probabilities to use in play to determine outcomes, but I haven't given up on the shiny bones! I was racking my brains trying to think of a way to use them to produce a simple dungeon generator. I also think they may be a cool way to do a NPC reaction minigame. I'll post more on those two possibilities later. 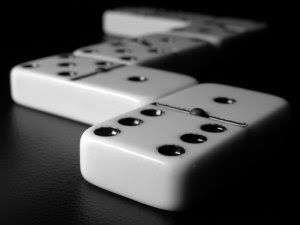 In the meantime, have you used dominoes in a roleplaying game? Have you heard of them being used? My interest in the quote may be far from what he was getting at. But when I read that I thought of my recent experiences as a DM and how I realized there are basically a few situations/subsystems you need to learn to take care of in order to run a roleplaying game. And once you have a system down for taking care of those things, you're set. I like the idea that these "chunks" can be chosen or even hand crafted by each DM. Isn't that what people are sharing on their blogs anyway? How to restock a dungeon, how to handle wilderness travel, how to award experience points. The customized ways to handle these challenges that experienced DMs have developed. I think it would be awesome, if someone sat down and wrote a book on roleplaying games that addressed each of these areas that constantly pop up, and how they were dealt with by various game systems. So, for example, skills and character differentiation could be a chapter, with class-based game examples on one end all the way to extreme skill lists on the other, with commentary on what those lead to in actual play. The last part is the kicker-- it sounds like a big book of roleplaying rule theory, except more than anything, roleplaying reality seems pretty counterintuitively opposite what the theory often suggests, in my humble experience. It's not a completely novel idea-- The Player's Option: Spells & Magic, book for 2e had something similar. It listed many variant magic systems including point based, sorcerous and magic granted by "alien" powers. But that isn't what I'm talking about. That book feels like a brainstorm. You would have a hard time convincing me that any of those methods had ever seen play in an actual game at time of publication. What 'm envisioning would be someone laying out a spell point system, for example, and then people with experience with those rules give examples of the implications of those rules, how they actually affected play. 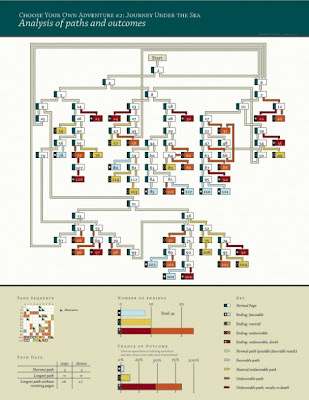 Anyway, forget the book, I still think it would be useful to think about roleplaying in terms of system "chunks." Maybe some of you already do. I think I'll try from now on. And while it might seem elegant for a rulesystem to handle things in a uniform fashion, rolling only d6s for instance, I think if you conceptualize the game in chunks you are freed up to have more appropriate systems for each of them. So, I might resolve wilderness encounters, for example, in an entirely different way than dungeon encounters. I might have NPCs that have no "levels." I might have a system that handwaves encumbrance for food and water but gets really crunchy when carrying loot out of the dungeon is concerned. I'm also interested in chunks that aren't, for whatever reason, encountered much. Diplomacy, NPC encounter reaction/interaction (not skill rolls), espionage, and trade (or even, GASP, romance), would be cool possibilities, for subsystems, minigames, or at least ruling guidelines. I'm off to the mountains to spend a little time with family as the last gasp of summer. I may not post for a few days. I give you this door in parting. I'll be thinking about my grand project while I'm up there so I should have more to post about soon. Have a nice weekend. I'm still working all this stuff out, so it feels odd to share such an early draft of these ideas. But I thought I had better, because without sharing what I'm doing, it would be too easy to put it on the back burner again. For monsters I envision using a deck of cards. I like the idea of the components necessary for play to be household objects that most people will likely have- six-siders, cards, been recently thinking about dominoes. Also, cards seem to be the component of choice for gaming and you can get decks printed relatively cheaply (my first impression after brief research, anyway). So cards, but what kind? Doesn't that limit us to 52 monsters? Not necessarily. I love the idea of combining simple parts to derive complexity. 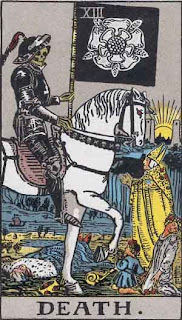 So you have something like the hanging man in the Tarot which means something and Death, but when drawn together they have a different meaning. I envision something similar. Perhaps on the first level of the catacomb, you will draw one card for a monster and thus can encounter 52 creatures. But on the second level, imagine when a monster is triggered you draw from the deck twice. The first card is the base monster, the second will modify the first. Let's say you draw Skeleton first, which means you'll have to deal with the ubiquitous bony undead, and the second card is Rat. Rat will have the connotation of horde, so it isn't just one skeleton but a whole bunch. If you had drawn the cards in the opposite order: Rat > Skeleton, well the Skeleton card's connotation is . . . well, skeletal. So that would indicate a Skeletal Rat. If I can come up with 52 monsters that also have reasonable secondary connotations to modify their fellow cards, and if my math is correct, that means we've bumped the number of possible monsters from 52 to 2704. If exploration on a deeper level of the catacomb requires drawing additional cards, say 3, then you pop up the number of possible monsters to 140,608 (is that right!?). As you can see, some modifiers weaken the base monster, it isn't all about threat inflation. Wouldn't it be cool to encounter a Blind Lich, or something? (well, okay, not a lich if I'm playing solo, but maybe a Blind Rat, haha). Hmm, even as I write this I'm seeing problems. See, I envision the modifiers to have certain traits associated with them, the way skeletal things are typically considered to take half-damage from all but blunt weapons. But what then is a Skeletal Ghost Rat? If on the third level of the catacombs you draw three cards Rat > Skeleton > Ghost, Wouldn't any typical Ghost modifiers cancel out the skeletal ones, thus making them pointless? I'll have to ponder this. Another problem: one way to use a deck is to have more cards of a certain type to make them more likely to be encountered. So for example you have 4 Rat cards and 1 Ghost card. Otherwise you have an equal chance of encountering annoyances and killers. So if I want to shape the probabilities of encounters at all, you can throw out the huge number of possible monsters to encounter above, they will be much smaller. Maybe that's okay, though, you don't need a hundred thousand monsters do you? Here is a rough mock-up of how the hexes might work in play. You start at the red spot, maybe you've lowered yourself down a hole on a rope. Now, you can choose one of four directions to travel. You decide to head East. You reach the edge of the tile and need to determine what the next tile will be. So you roll 1d6 for which tile, and get a 2. Then you roll 1d6 for which side of tile two and roll 6. So you spin tile two around until the sixth side aligns with where you're at. Now as you first enter this tile you take note of the numbers-- leaving side 2 to side 6 gives you 26. Uh oh, the first loculus has a symbol for monster and the "E" means any entrance to this tile with and even number triggers this monster. Your 26 being even, means you've got something to deal with. Maybe it's a skeleton, and you smash it with your trusty club. There is nothing more of note around so you need to decide which direction to go from here. You decide North West. So, you go through the same process, roll a 3 and a 2 and plop tile three down with it's second side aligned with your passage. (If you had rolled a one here, this would be a dead end) So your number on entering the hex is 12. And that loculus to your left has a gold symbol that triggers on "Even." Sweet, you found some treasure. 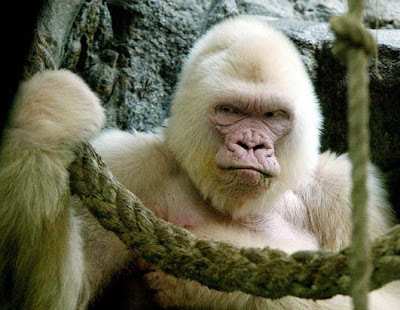 Maybe it is an ivory teetotum that you hastily put in your bag. You notice the other loculus on this tile only triggers on "Odd," so you dodged a possible encounter here, your 12 doesn't trigger it. You only trigger the encounters on a tile once, backtracking or circling around doesn't do anything. But imagine, way back on your entry tile rather than heading East, you had decided to head North East. Follow the blue arrows. When you generate the next tile your roll of 3 and 3, results in an identical placement of the same tile. The catacomb map is essentially the same. But because your entry number is 13, odd, you trigger the monster but don't trigger the gold. That's Lady Luck for you. So it is complicated to devise, but I think once you get it, it would be very quick to play. There are many things I still need to work out. In making this mock-up, for example, I had to come up with a symbol to represent treasure. A dollar sign wouldn't be appropriate for my European friends. 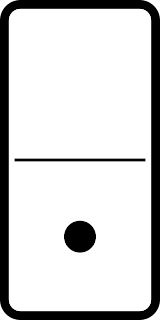 So I settled on Sol just now, but maybe there are better symbols. 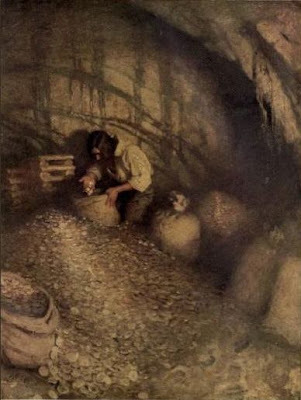 What about Events, like cave ins, how would you symbolize an event? Also, how many loculi do I want on each hex, how many would be too sterile, how many would be too cluttered? Once I at least have a solid draft I'm satisfied with. I think it would be cool to implement some kind of website where people could upload their own tile designs. To let you all design tile "decks" to share with each other with CC licenses or something. It's all sort of a dream right now, but one can dream, no? I spent hours of my youth rolling up characters, wizards and gnomes and thieves. Oh, how I longed to play them through some dungeon or explore tangled woods. I never seemed to be able to find people similarly inclined. I tried the random dungeon charts in the back of the 1e DMG, but they were so random as to be nonsensical to me. I played through every solo module and gamebook I could find, which were nice, but once you run through them, then what? So about ten years ago I sat down to methodically devise a way to play solo D&D. I had found a design textbook in the boxes of my father's college books out in our backyard shed. I was intrigued by the way it talked about combining the functional features of a product and this was the biggest influence on this project. I had several breakthroughs and many setbacks. But eventually, my system worked out to being a 1) Catacomb, because I felt the smaller, more windy features would be easier to create than a typical dungeon, at least at first, and 2) It would be hexagonal, the largest regular polygon you can tile with, but also easy to use with the most common of dice, the d6. Yes, yes, you might be thinking, there have been hexagonal geomorph systems before (there must have been, but I don't know of any personally [well, except the brief mention in the Dungeoneer's Survival Guide]). But what I think is cool about my system and may be useful to others is the way the map helps generate encounters. Here's how: On the geomorph (that seems to be the term people would most understand, but is it a trademark?) above is a loculus, a place in the catacomb wall where a body has been sealed. Well, it was sealed, but that was centuries ago, perhaps it's been broken open and a spider lairs there now, perhaps the skeletal remains of its occupant still clutch a glowing dagger. In all the loculi of these geomorphs will be a two symbol code, the second designating Monster, Treasure and, maybe, Event. The first symbol is the key, and determines the likelihood of the second of triggering. In play, you'll randomly determine the next hex and its location. For now, let's say you'll roll two differently colored d6. 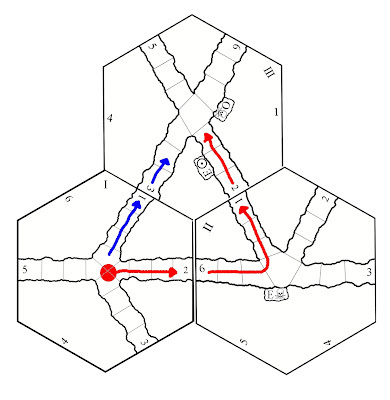 The first will indicate which of the six available hexes to lay down, and the second die will tell you which face aligns with the passage you are in. Those faces will generate a two digit number. 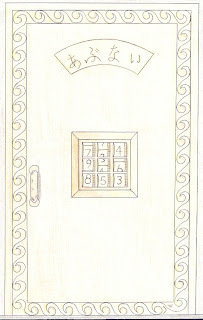 Now, back to our loculus, the first symbol will refer to the two digit number that your entrance to the hex generated. This symbol could reference Odd/Even, Double, Odd Double/Even Double, or a Specific Number. If we have two tiles with all six sides accessible, the odds for the above categories work out to 50%, 16.7%, 8.3%, and 2.7%. This gives me, as a designer, a range of probabilities for things to trigger. Each tile will have different triggers, and each time you enter the tiles you'll be coming from different directions, so it will be impossible to game them, knowing which tiles have better treasure etc. It will be largely random. Now the problem comes in, when the tiles don't have all 6 sides accessible. My example above cannot be entered from side 6 or 4. So the chances of an Even triggering are down to 25%, and the chances of Odd are up to 75%. Doubles, Specific Numbers are all affected. It would be easier to make the tiles all accessible on all six sides, but that makes the catacomb infinite, and I don't think we want that. So, what this means, is I have a lot of work to do, hand choosing the triggers for each tile so that they trigger in appropriate ratios. First I have to finish making the tiles. And I'm having a bear of a time learning to make SVGs with Inkscape. Each step leads to new revisions. 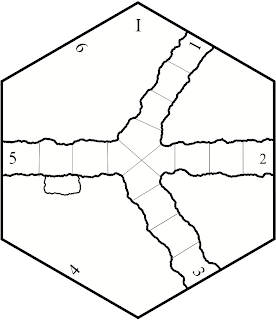 I've just decided, for example, that the hexes will be 6' across and that I will hand draw gameboard-like squares in the passages as above. I have always intended to give the whole set of these away once I'm done, as downloadable SVGs (so you can edit them and resize them to your heart's content), but I think it would be cool if I could make something I might be able to sell in addition. Don't get me wrong, I don't think there is even a tiny market for something like this. But I guess I'm thinking of the product I would want if I weren't making it myself. I'd like to offer that to people and be able to cover costs. Anyway, printing these tiles on paper will work, but I think having them printed on something more sturdy and durable would be even cooler. To that end, I began learning how to screenprint this summer! Who would have thought that all my thinking on this project with a little boost of excitement from the OSR would end up in me learning a completely different craft!? Still learning, but I did produce a prototype that let's me know that this is possible. I can actually do this. Disregard the hex grid there, I just wanted to see how fine a line the screenprint could produce. Fine indeed, it turns out. Also, the blemishes there resulted from me brushing on the emulsifier when I shouldn't have, so it will look better next time. Umm . 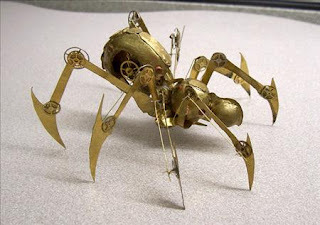 . . what would you do, faced with this at the entrance of an abandoned keep and every time you touch it, it shocks you? I think I imagined solution had something to do with same / different. The center four symbols are holy symbols for saints in my campaign world and three are male, one is female. I think you were supposed to select that symbol and then . . .Virgo? Deciphering this as well as some of my other old runic inscriptions has driven home the idea that runes shifted through time. 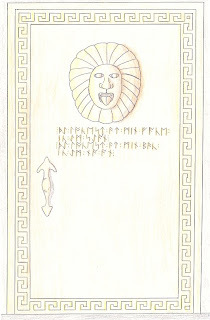 I'm not sure what version of runic alphabet I originally used, but it seems to be some later Saxon variant. This is an old riddle, but it appears I may have had a Middle English version of it encoded into runes. Lookest at my back and I'm nought. Put a mirror up to the lion head and it will roar and open the door. "It has a lot of elements that remind me of ~1980 era releases: Ease of dropping this almost anywhere in a campaign, a fairly open dungeon layout, some good traps, player (not character) puzzles, enigmas, potentially unbalanced encounters, places that strongly promote DM improvisation, and plenty of opportunities for the party to make choices between fighting, communication, or something else entirely. It has a backstory, and although it supports a rather standard altruistic way for the PCs to interact with that backstory, it by no means forces the party to do the altruistic thing." I would love to explore each of those points a little. This seems related to my post about Detail being dominant. It seems a hard line to walk, but the module should provide interesting details without pinning me down. Things like very specific gods, historical events, and fleshed out cities and cultures would probably be no-nos. I'll decide if my world has viking-mole-dwarves or not, thank you very much. I'm guessing this means the dungeon isn't linear, there are multiple possible paths. Sounds good to me, and relatively easy to take into consideration while designing, except if the location is a tower or something similar. I don't disagree, but I'm not sure what good traps would be. Traps that can be seen by players, strategized against-- not instant, silent killers? Or just interesting, as in not another pit? I love these myself, well making them anyway, and realize how difficult it can be to make them challenging without frustrating. If a module had one or two puzzles that managed this successfully, it seems that would be a plus indeed. I like this too. One problem is that players tend to think every detail is significant, so if you mention a lever, it must be important. But why shouldn't there be weird atmospheric effects, or non-threatening oddities every now and then to please the explorers among us? This goes hand in hand with 2). Without this openness is only avoiding the feeling of being railroaded. With this possibility, openness of the dungeon becomes strategically imperative. But make sure to give the players clues to approaching encounter dangers, or the only choice they'll have is whether to run or fight. I strongly like this as a suggested feature, but in my inexperience am not sure how I would provide this to DMs in a product of my own design. Present NPC motivations and let encounters work themselves out? Provide clues, but only brief ones, as to what could happen if players take certain actions? This seems related to 2) and 6) but still worthy of a goal to strive for. Seems like this would weigh against modules with only dumb, hungry jellies or rabidly fanatic cultists. Try for conflicted, intelligent humanoids of some type. It should be a location that would be interesting to revisit later. Perhaps there are magical fountains or pools that are permanent features. This doesn't mean a module couldn't be about a collapsing cavern or erupting volcano, but if the DM has to do the work of importing it into the campaign world and learn the details enough to run players through, it would seem like a nice touch to make it a landmark of sorts, a place to come back to. And . . . I can't think of another to make it a nice round ten. Let me know if you have any more or disagree with any of the nine here. Thanks to Guy Fullerton for the great quote. The players can be altruistic and helpful, but they can just be looking for gold if they choose. But it requires a certain amount of narrative to provide a problem the players might help with. And it takes some skill to not, then, require PCs to follow some expected course of action. 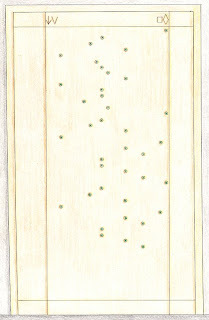 A brass or bronze door set with small green gemstones. The position of the stones is a simple alphabetical code which spells out . . . I'm not sure. I'm going to have to dig my language binder out of storage, but I believe it means to hold one's beard and knock, and the door will open. 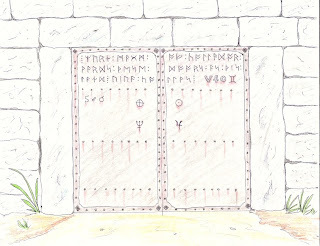 If I can dig out my old language folder I'll update these door posts with exactly what I'd intended them to mean. I believe that this door says, "Danger!" or "Caution!" in Japanese. Please correct any errors. The danger the door warns against is a shock from trying to open it without solving the magic square. Magic squares are probably old hat in dungeon tricks by now, but things like this fascinate me. I believe this was a classic 3x3 Lo Shu square where all the sums should equal 15. Set the dials correctly and the door is unlocked.